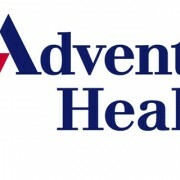 OAKHURST – For the first time in its history, Adventist Health / Central Valley Network is opening a clinic in the foothills. The Community Care Clinic in Oakhurst will begin welcoming patients on June 2. The upstairs and downstairs clinics in the two-story building were formerly operated by Clovis Community Medical Center, who invited AH to take over operations. “We were chosen because of our focus and expertise in rural health care,” said Diane Rose, the clinic’s regional director. By adding a clinic in Oakhurst, the Community Care network now makes up 33 hospital-based rural health clinics and is the second-largest in the nation. The Oakhurst site expects to see 1,000 patients a month. “For us to come in and implement our model of care, it means a lot to the community, and they’re very excited to have us,” Rose said. To prepare for the transition, the clinic will close for five days beginning yesterday, May 28 and reopen on June 2 under the new ownership. The clinic will be open seven days a week to accommodate community members and visitors. Both floors of the clinic will be utilized by current Oakhurst staff and physicians who have joined the network. Six providers will be on-hand: three physicians and three nurse practitioners. Patients who need to see a doctor right away will be able to make same-day appointments downstairs. Those who have scheduled appointments will go upstairs to see their regular doctor for physicals, pap smears and other wellness-related matters. Other services include family medicine, lab, X-ray, mammography and ultrasounds. The clinic is located on 48677 Victoria Lane in Oakhurst. It will be open Monday through Friday, from 8 a.m. – 5 p.m. for scheduled appointments and seven days a week, from 9 a.m. – 7 p.m. for same-day appointments. For more information, call 559-683-2711.